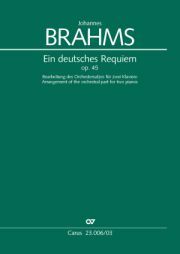 The texts of the Latin mass of the dead (“Requiem”) have been set numerous times during the course of the history of church music. 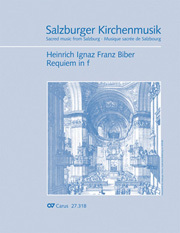 For the Mozart Requiem KV 626, a composition surrounded by legends, Carus offers the choice between several arrangements / completions (Franz Süßmayr, Robert Levin, Richard Maunder). 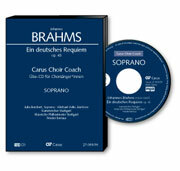 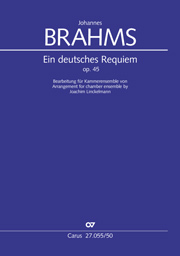 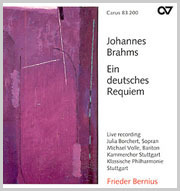 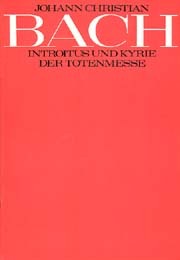 Whilst the majority of composers have chosen the Latin text for their settings (Campra, Hasse, Cherubini, Verdi, Gounod, Suppè, Rheinberger, and Fauré), for his Deutsches Requiem Brahms compiled various texts, in the tradition of Schütz's Musikalischen Exequien, which deal with the themes of mourning, lamentation, and death. 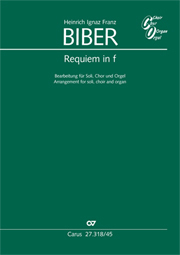 Mauersberger's Dresdner Requiem, after words from the Bible and hymns, was written in commemoration of the destruction of Dresden in the Second World War. 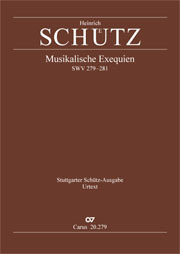 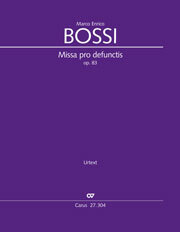 Carus publishes the works in attractive Urtext editions with complete performance material and complementary practice aids (carus music, the choir app, Carus Choir Coach and Vocal scores in reader-friendly large print).